Adobe Acrobat Reader for Mac is the leading PDF viewing software. Downloadable free of charge, it is capable of opening and reading all kinds of PDF content: text, multimedia, forms, etc. 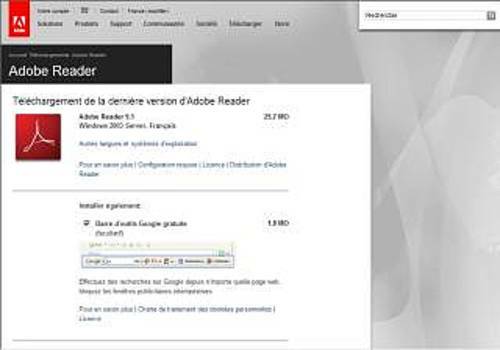 This PDF reader also includes several options for commenting and printing your PDF documents. Thus, you can annotate or surround certain data, especially for school or professional presentations, but also print them from your Mac. With Adobe Acrobat Reader you can also access a multitude of online services to create PDF forms with a single click, but also convert PDFs into Microsoft Office files, for example. If you want to benefit from additional tools to improve the processing of your PDF files, you can always opt for the higher version of Acrobat Pro. Unlike Adobe Acrobat Reader, Acrobat Pro is not free of charge. However, a trial version is available for free download. This program allows you to create and completely modify PDFs. A conversion tool is also included. An efficient utility on Mac that can convert your PDF documents to.txt..doc and.docx formats to make them editable by text processing software. The reference for PDF document editors is also available on Mac in its professional version. Aiseesoft Mac PDF Excel Converter is a PDF converter that is intended to convert PDF files to Excel in XLSX format on Mac.